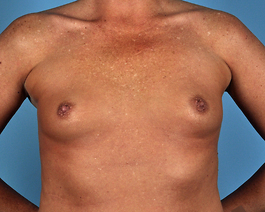 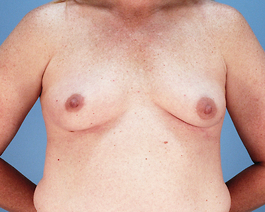 This woman in her early fifties from Virginia Beach had a breast augmentation with Dr. Hubbard. 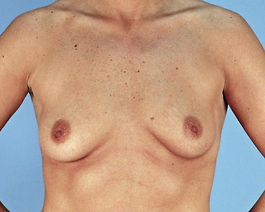 She chose saline implants with 440cc on the left and 455cc on the right. 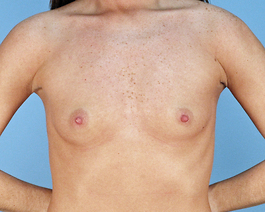 This small difference in volume helped her become more even.